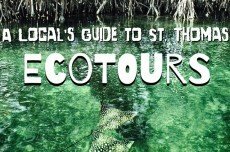 Snorkeling and kayaking lovers will enjoy this spectacular water-focused tour of the Mangrove Lagoon in St. Thomas. 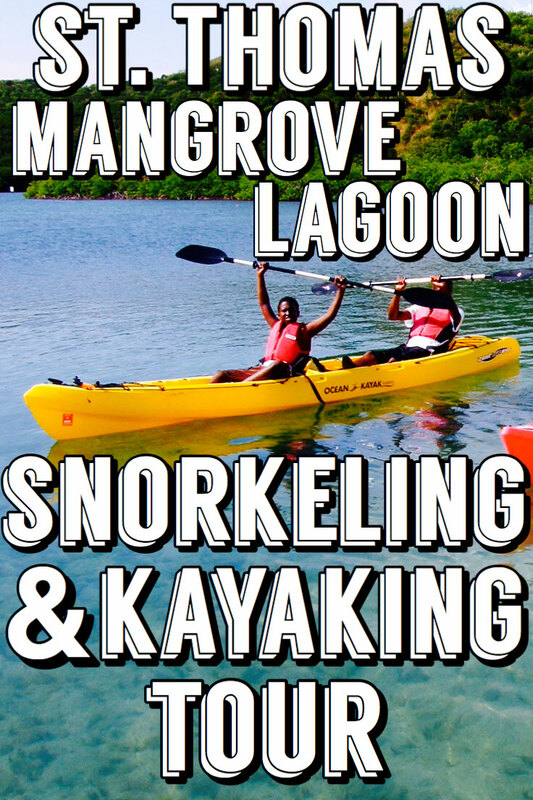 Nature guides kayak with you through the protected Inner Lagoon Marine Preserve as you pass between the many beautiful manglar islands that are made up of red mangroves. Many birds nest in the trees, such as the endangered brown pelican, blue herons, night herons, egrets, yellow warblers, hummingbirds, and many more. Juvenile fish hide among the many roots of the red mangrove trees. Paddlers glide in clear shallow water and often see southern sting rays and spotted eagle rays gliding beneath them with an occasional show of one jumping into the air. Next you will arrive at the southernmost tip of St. Thomas where a fringing coral and shell rubble barrier reef divide the crystal clear waters of the lagoon and the Caribbean Sea. Snorkel a coral-fringed mangrove nursery with an easy snorkel, perfect for beginners, in the clear, protected waters. Guides offer snorkeling instruction, point out the marine life, and interpret the diverse mangrove ecosystem. 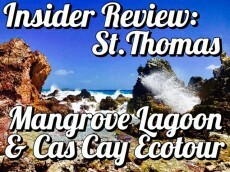 Return information: You will return with your guide to Mangrove Lagoon Marina, St. Thomas. There may be an option to purchase a photo CD if a photographer accompanies your tour. If photos are available, the entire collection will be available on a CD for $45. Includes an additional CD with “Best of” pictures collected over the past decade. Our main marina is located on the southeast side of St. Thomas. From Town: Take route 30 East until it intersects with route 32 (also the Bridge to Nowhere/Esso Station), turn right -southeast- and we are located on the right side of the road. We're the big green trailer with the mask and snorkel on the side. From Red Hook: Head southwest on route 32 towards town, we are located on the left side of the road We're the big green trailer with the mask and snorkel on the side.